Marcelo Odebrecht, when captains of industry hung on his every word — and many still copy his business practices. Photo by steelworld. When Odebrecht got the contract for the Metro’s next line, it was not the low bidder. In May of last year a consortium led by that Brazilian group of companies won the contract on a weighted set of “technical points” that were pretty obscure. It wasn’t that the Chinese-led competition offering the lower price didn’t have vast experience in building such things, nor that it had a horrible safety record, nor that its engineers are unqualified, nor that there are terrible failures on its record, nor that the lower bid was a corrupt lowball. Some of the technical points in the Metro bidding were given numerical values but were so nebulous and subjective as to be recognized as fudge factors. The it turned out that a member of the committee that wrote the technical specifications that gave Odebrecht the contract had worked as a consultant for Odebrecht. It was administratively held — not but the courts, but by part of the executive branch that President Varela heads and by the Comptroller General whom Varela appointed — that there was no conflict of interest and that there was no problem with Odebrecht getting that $1.857 billion contract for a higher price. 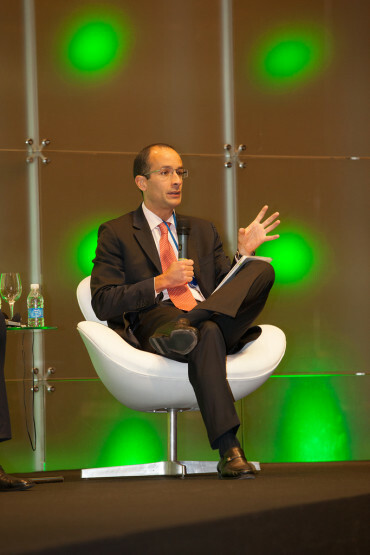 By the time that the Metro Line 2 contract had been formally awarded, drafted and signed, Odebrecht’s now former president, Marcelo Odebrecht, was behind bars in Brazil on charges that he oversaw multiple bribery, kickback and money laundering schemes by which his companies rigged bids and paid off public officials in exchange. The other day Marcelo Odebrecht was sentenced to more than 19 years in prison after conviction on some of these charges. In the days before Marcelo Odebrecht’s sentencing, a Brazilian couple, João Santana and Mônica Moura, were indicted. This power team is an internationally famous set of campaign managers who work for parties and governments of the left and right and usually win their campaigns. Brazilian prosecutors say that they were paid by Odebrecht through money laundering shells to perform services for politicians and ruling parties as a way for Odebrecht to pay bribes without any readily discernible money trail showing. The power couple came back to Brazil from the Dominican Republic, where they had been managing that country’s ruling party’s re-election campaign, and surrendered to police there. Under questioning by Brazilian prosecutors, Ms. Moura admitted that she and her husband were paid by parties other than their ostensible clients to manage political campaigns in Angola, Venezuela and Panama. In Panama, some private party other than the candidate or the Cambio Democratico party paid João Santana to run the 2014 presidential campaign of Ricardo Martinell’s front man José Dominngo Arias and the latter’s running mate, then first lady Marta Linares de Martinelli. Although the power couple say that they don’t know of any Odebrecht bribery and kickback scheme behind the financing they received Brazilian authorities say that they do have the documents and witnesses to prove the connection to Odebrecht. As in, Odebrecht, with large public works contracts in Panama, paid a major expense for the 2014 Martinelista election campaign. Surely everyone involved in the hiring of Santana and Moura to run Martinelli’s proxy campaign will protest that it wasn’t bribery and maybe even that it amounts to criminal defamation to describe it as such because the quid pro quo can’t be definitively proven. Are we about to hear a backup argument that the hiring of Santana and Moura wasn’t a violation of Panamanian election laws barring foreign financing of our political campaigns because corporations are people too and the power couple was paid through a Panamanian subsidiary of the Brazilian construction company? No doubt. But we are not a nation of slow-witted children. The Brazilian prosecutors have a problem with their investigation. Marcelo Odebrecht kept his emails on a server in Panama, and his company says that they are, for some dubious technical reason, “unavailable.” Also in Panama, Brazilian prosecutors say, were some of the money laundering shell companies and bank accounts used for Odebrecht financial crimes in Brazil and around the world. These corporate shell games involving multiple companies in multiple jurisdictions? By and large organized by Panamanian law firms, Brazilian authorities say. Reports from Brazil are that Panamanian authorities have not been helping out with the investigation there, and meanwhile Panamanian prosecutors appear to be less than curious to find out out what evidence their Brazilian counterparts have of crimes committed against the Panamanian people. When asked about it, President Varela said that while people should be held accountable for their actions, that’s the job of the courts and not the executive branch that he heads. His role, he told reporters following him at a campaign event in Nata, is to see that public works contracts are in the public interest and are properly entered into. But is it in the public interest for Panama to do business with a company with a long and notorious reputation for bribery and the purchase of influence in many countries and locales, including acting as a clearinghouse for Brazilian public works big rigging in a scandal that brought down the administration of then President Fernando Collor de Mello in 1992? Are Panamanians protected when foreign interests are rewarded for interfering in our democratic processes? Yes, there are roles for the courts to play, in which presidents should not interfere. Most Panamanians have not known this concept of judicial independence so will not believe it if they see it, but give Varela credit for defending the principle. However, guarding the public interest against corruption is also an administrative duty. Are there going to be “technical points” in administrative decisions about to whom public works contracts should be awarded? Right at the top of these should be a rule that a company known to engage in corrupt practices is disqualified from doing business with Panamanian government entities. In an administrative proceeding, the standard of proof about what is known is not the same as in a criminal case, in which all elements of a crime must be proven beyond a reasonable doubt. If Odebrecht paid the fee to manage the 2014 Martinelista campaign for the Panamanian presidency, forget all of the hair-splitting about specific intent and who knew what and when. As a matter of administrative policy Panama should not be doing business with those people. The Young Turks have been run out of the corporate mainstream but persist online. In this election year, in an era in which the norm is unlimited campaign spending to sway US elections — and to fill the coffers of television networks and other large corporate media — the financial biases of the billionaire class and the pecuniary interests of the big news organizations are being displayed in most flagrant fashion in what passes for news and expert commentary. By and large, the Cenk Uygers of the profession are being expelled from the mainstream and vilified for not going with the corporate program. So, what to do? Unless and until net neutrality is abolished and all dissenting voices are driven off of the Internet, small online media — including The Young Turks now, and including The Panama News — need to pick up the cudgel for the public interest. Given our lack of resources to cover everything that we should cover in the first place, and given public weariness with a US campaign season that hasn’t even reached the halfway point in the nomination process, this can be downright annoying to the readers and viewers. But then, when the futures and freedoms of nations are on the line, it very often is inconvenient and annoying when people rise to their defense. The good and honorable men should be the ones who set public opinion. Talent without probity is a scourge. Fables should be taught as fables, myths as myths, and miracles as poetic fantasies. To teach superstitions as truths is a most terrible thing. The child’s mind accepts and believes them, and only through great pain and perhaps tragedy can he be in after years relieved of them.